The rapid expansion of digital communications, particularly in the fields of TV and mobile telephones does not overide the need for a clear understanding of analogue frequencies. Moreover, analogue technology will play an important role in communications well into the 21st century. 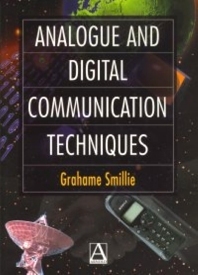 Covering the principles behind analogue and digital communication systems, this book takes a less mathematical approach than is often found at this level. It begins with basic principles such as information systems, data compression and error detection before moving on to more advanced topics such as Pulse Code Modulation systems and digital microwave systems. Data protocols are also given so that the reader can gain a good understanding of more complex communication systems. 'Analogue and Digital Communication Techniques' has been designed for students studying HND electronic communication courses but will also be useful to junior undergraduates on similar courses. Some knowledge of basic elctronics is assumed. Undergraduate and HND students of electronic communications. Further education students of telecommunications, data communications and mechatronics. Definition of terms Analogue modulation principles Spread spectrum systems Digital modulation techniques Pulse code modulation Noise figure and noise temperature Effects of noise and distortion on analogue and digital signals Determination of bit error rates Source coding techniques Bit error detection and correction Line and interface coding * ISO open systems interconnect seven-latyer model.